Recently I was lucky enough to take a trip to France and one of the points of interest we wanted to visit was the Etaples Military Cemetery. 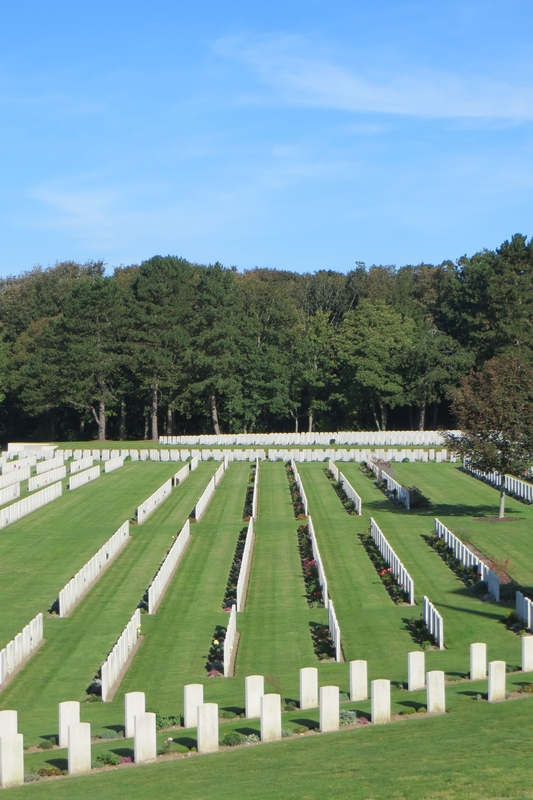 This is the largest War Graves cemetery in France and is the final resting place of over 10000 soldiers, nurses and doctors from all over the Commonwealth. 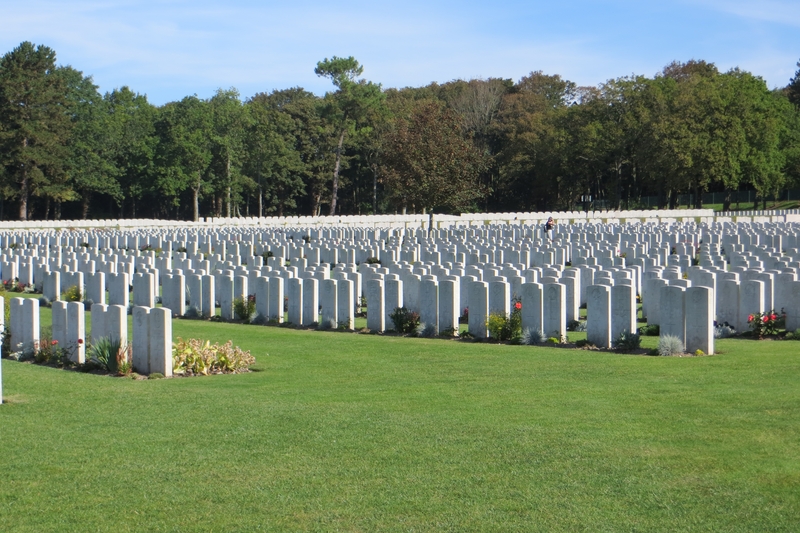 There are also about 600 German graves to be found in the cemetery. Etaples was the site of many of the Allied hospitals during World War One and many of those buried here were casualties from the hospitals and so as a result only 35 of the graves mark unknown people. As with all of the CWGC sites that I have visited the Etaples Cemetery was beautifully well tended with no dead flowers or plants to be seen. 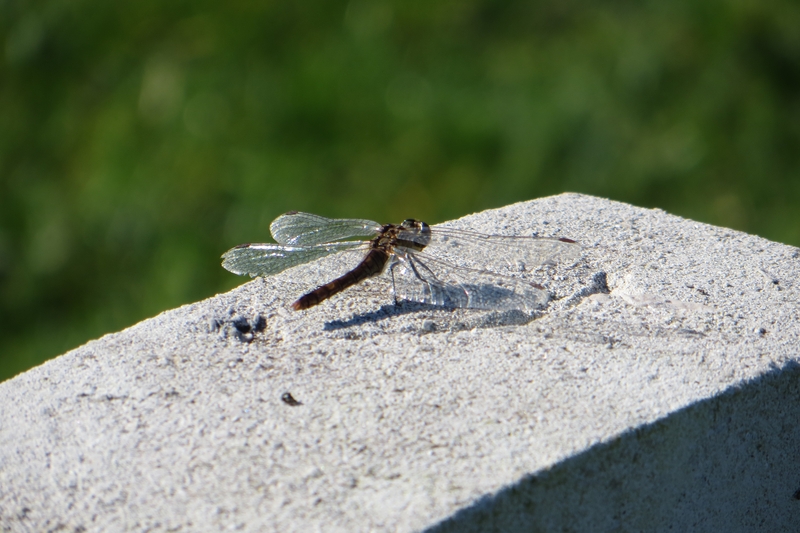 For those actually searching for a lost relative there are easy to use books at the entrance listing all of those buried in the cemetery and exactly how to find them. 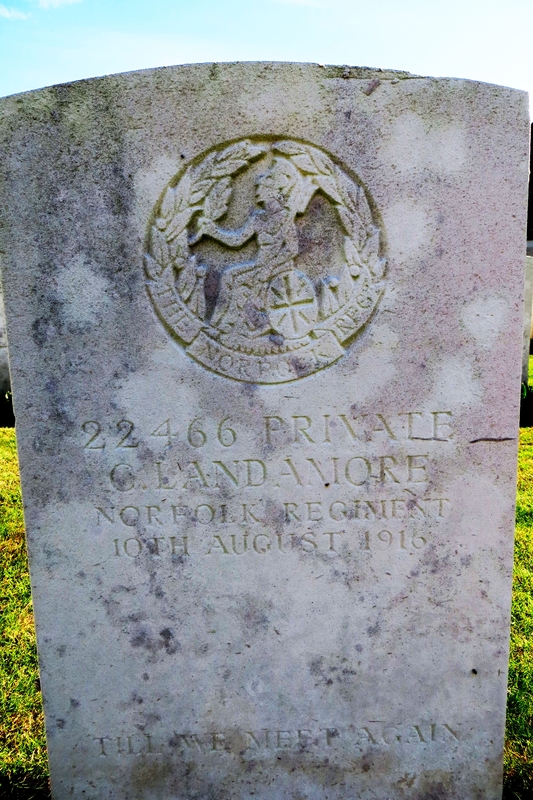 We couldn’t stay too long but it was a peaceful place to walk around in the autumn sunshine and we did locate the final resting place of a soldier from the Norfolk Regiment as well one for a nurse from one of the hospitals. Etaples-sur-Mer just a few miles down the road has a fascinating museum with a large area set aside to explain the role of the town in World War One, and if you are interested in learning more about life in the hospitals then I really recommend the book Dorothea’s War by Dorothea Crewdson – a nurse in the area right through until 1919. This entry was posted in Visit to a WW1 related location and tagged Cemetert, Commonwealth War Grave Commission, France. Bookmark the permalink.